Reichstein Foundation is changing the rules by funding advocates for social justice and environmental protection. The big opportunity is to make an effective case for philanthropists to be bolder with their giving and fund both the fighters on the front lines of change and the outspoken voices who are shifting policy for the greatest impact. 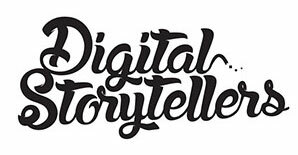 Digital Storytellers used a short, sharp and shareable format to highlight the personal story of Taj Mohamed who successfully challenged police racial profiling in Victoria with the financial assistance from Reichstein Foundation. We also featured RO Allen who spoke about LGBTI issues, Fiona Smith on investing in advocatesTim Costello on changing policy and the inspiring insights of Jason Franklin, one of the world’s thought leaders on the future of philanthropy. Jill Reichstein features with her vision for philanthropy leading the conversations that make progressive change possible and her rallying cry for philanthropists to show real leadership and be bolder with their giving.